1. Times are still relatively good for most. On the grand scale of global stability, things are still fairly stable for the west at least. You can still go to the store and shelves are stocked. The calorie has never been cheaper to acquire relative to human inputs. Just think how much a bushel of wheat or 10 pounds of rice cost in the middle ages? How much work had to go into it? I’m not saying I support all of what the agricultural system is doing, but as far as cost per calorie, it has never been better. 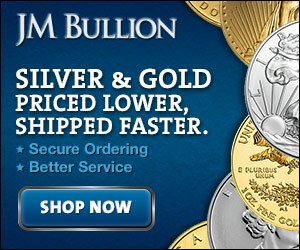 It is a great time to stock up on dry goods, canned goods and other long term storables. Even if you don’t have a lot of extra money you could probably find an extra 20 dollars a week or two to practice copy canning and double up on storing some things that your family actually eats. 2. Times might not always be as good. Even if a crisis hits just you it is a crisis nonetheless for you and your family. Anything from job losses to power outages to water or gas leaks can cause a major setback financially and otherwise for you. Having that extra food and water storage as a bare minimum can help you offset the grocery bill a bit for the time it takes to find a new job or replace your savings after having to cover repairs. 3. 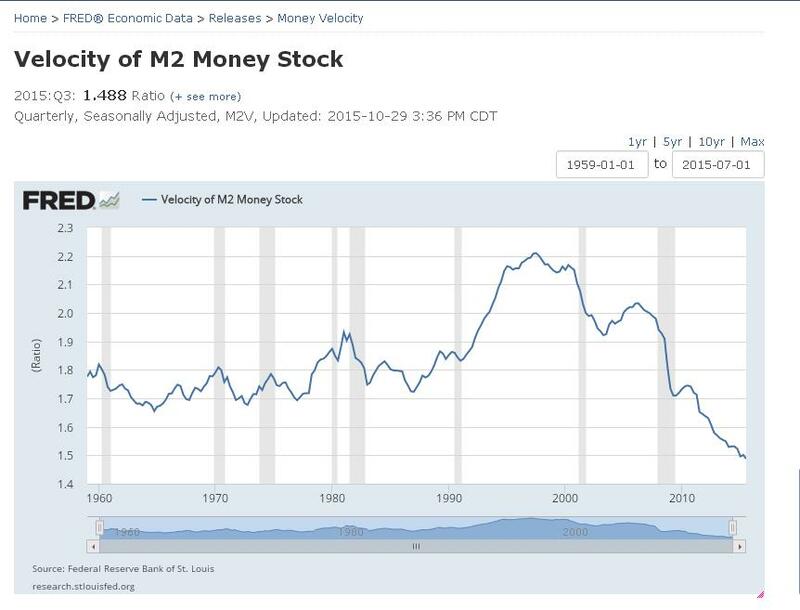 Money velocity is at an all time low. Money velocity is a fancy term for how fast money is changing hands. Or how much economic activity is going on. This means that people are tending to save more money (which is usually a good thing) but it also points to a slowdown in the economy. This could point to an economic stalling in the near future. 4. Global instability is on the rise. If you didn’t hear the news, Portugal just unseated its elected government (Elected 2 weeks ago) with a group of socialists and communists… Politics aside, when everyone is taking, and fewer are paying the system will collapse. That isn’t politics, it’s mathematics. States like Portugal and Greece have the potential to pull the Eurozone apart due to conflicting economic policies. This is on top of the already intense pressure they are facing from the immigration crisis. The best preppers started with just food and water storage, a 72 hour kit, and a small savings account and then built up gear and resiliency over time. The point is to start somewhere. Store water for drinking and bathing in 2 liter soda bottles, Arizona iced tea bottles, or even refilling purchased water jugs from the store. Have ways to purify water. Store some extra food. Have a plan to leave if you need to for a minor or major disaster. 6. 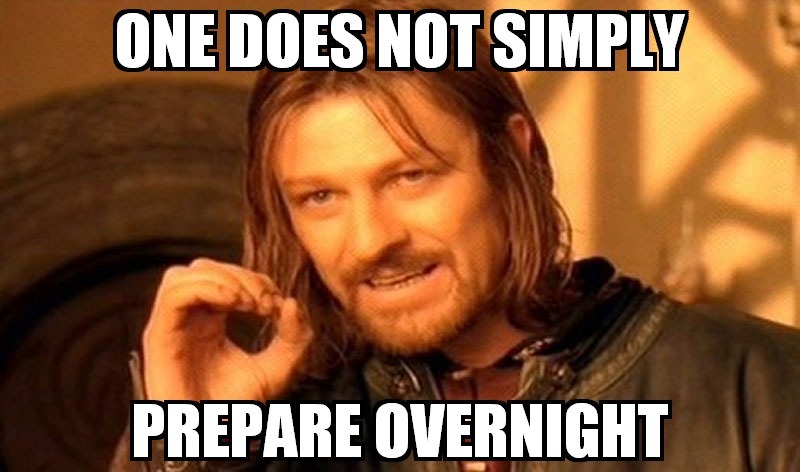 It’s best not to prepare for specific events. A lot of preppers get so hung up on preparing for the “coronal mass ejection” or the “economic collapse” or “the end of the world” that they have timelines for. Sometimes they miss the basics because they’re busy buying gas masks, guns, cases of MREs (all good to have but not if you don’t have food and water). The best way to prepare is to prepare to do without systems of support. Any number of things could trigger the loss of these systems. 7. There is only now. Like it or not, you exist perpetually in the present. 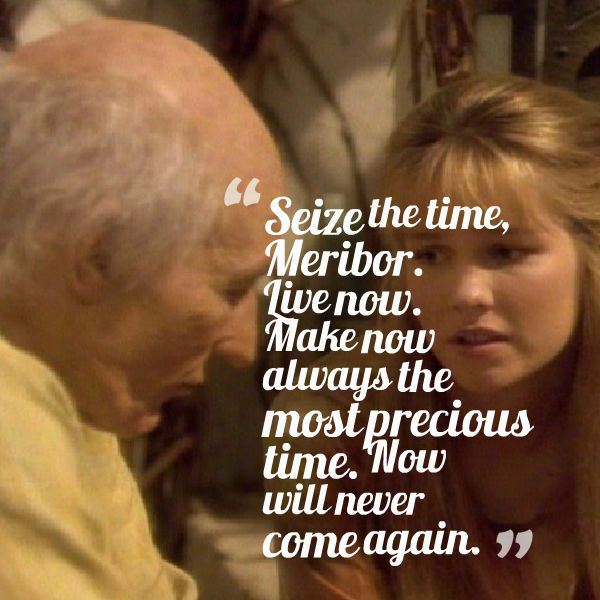 There is no future, there is no past, there is only now… and now…. and now…. The current state is just the result of a series of events that all happened in the present… just, someone else’s present. A series of actions can change one’s situation “in the future” but when that future arrives it becomes the present. There is no magic wand, no one is going to prepare for you. Each moment, each action, can alter your present state towards being more prepared or less prepared. Choose. For yourself and your family.